Best Exhaust for 7.3 Powerstroke Reviews: Top 4 in April 2019! List of Top-Rated Exhaust for 7.3 Powerstroke Ford Diesel! As anyone who has driven a powerful truck knows, the power and speed you can reach with a pumped-up engine and parts are enough to get you high on a glass of water. That’s why the automobile parts and systems aftermarket is so strong and continues to expand and thrive. The demand for more efficiency and optimized performances, coaxing every ounce of HP and torque from the engine is an ever-growing demand. One of these systems are exhausts for trucks, and the 7.3 Powerstroke Ford diesel truck is one of those super-powered trucks that can be pumped up to mega performance proportions. 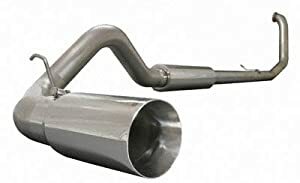 A really good exhaust system will deliver up to 25HP power gains, as well as give your engine an extra 60 ft.lbs of torque combined with either a silent muffled engine or a deep rumbling roar of a pipe the only system. An extra benefit from an exhaust system can include an increase in fuel optimization, give your engine an extra 1% to 2% of MPG efficiency. My name is Ken Coul, and I am an auto mechanic with over 20 years’ experience pumping up cars for street racing, off-road rally racing, and heavy-duty performance. In this brief guide, I will give you four of the best exhaust systems to pump up the performance of your Ford 7.3 Powerstroke diesel truck. 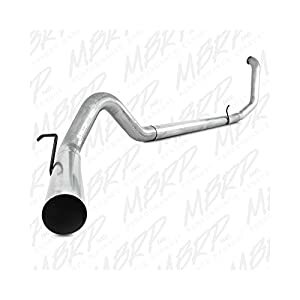 The MBRP aluminized steel single exhaust pipe system with a delete pipe. This kit replaces the muffler for 99-03 Ford 7.3L Powerstroke Diesel and is the perfect solution for both budget-friendly and optimized exhaust performance systems. This is a 4” turbo-back kit; the exit location is on the passenger’s side, it does not have a catalytic converter, so you cannot use it to replace a “green” exhaust system. This kit comes with all the parts and hardware and is easy to install. 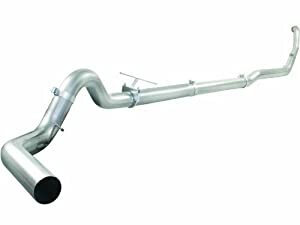 The MagnaFlow diesel exhaust system includes an aluminized steel system with a 4” downpipe and a 5” main piping kit. The kit is installed with standard clamp and hooks and comes without a muffler, so the sound is a modified and magnified rumble. This kit is good for all 99-07 Ford F-250/350 Super Duty 6.0/7.3L Powerstroke trucks. The aFE systems are all easy to install, using the clamp on and hooks system that matches the factory settings. These kits are all leak free sealed with a 4” downpipe and piping system. They are used to replace all 1994-1997 Ford F-250/350 Power Stroke Turbo Diesel V8 7.3L trucks. The 4” mandrel construct is designed to deliver maximum optimization for torque, HP and fuel efficiency. The Silverline™ FS101409 Diesel Performance Exhaust System is a single system designed to deliver maximum optimization for your truck. It is designed for all 1999-2003 Turbo-Back 7.3 Ford Power Stroke F250/F350 2 and 4-wheel drive. 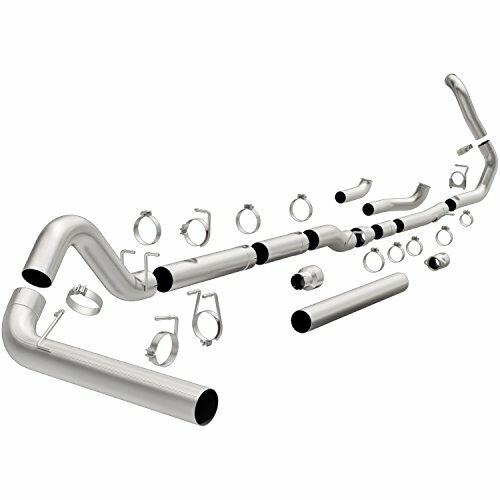 This exhaust kit is made of mandrel bent 409 stainless steel which increases your MPG’s, lowers your EGT’s and adds 13HP (tested). It is very easy to install, should be under 2 hours. The tip of the exhaust is polished for a better finish. There are plenty of aftermarket exhaust systems to choose from, and the kits come from hundreds of suppliers. The only way to cut through the roughage and reach the quality items is to concentrate on a few key performance indicators (KPI’s). KPI’s are what professional purchasing managers use to compare models with varied performance and price levels. By deciding which performance functions are most important to you, you can then chart all the competing models and discern which one is best for you. Just for general knowledge, the “best” is not just objective; it is also subjective. Some people like louder sounds, others want quieter systems. Just this one function will decide whether you compare a muffler included system or not. Prices will vary accordingly. What I can tell you is that there are some objective KPI’s such as materials, finishes, and quality compliance that should be considered seriously with all purchases. Regarding manufacturers, in all honesty, whether the item is made in the US or China doesn’t make a difference, unless you want to contribute to US income. The manufacturing ownership of the model determines the level of compliance with standards, so apart made in China using USA standards will be as better than the US made part not using compliance standards. Aluminized Steel: These are heavy duty steel pipes that were dipped in an aluminum-silicon alloy dip and gave you great resistance to corrosion with a reasonable price. These are great for heavy duty off-road work. 409 Stainless Steel: This is the next step up, these are stainless steel pipes providing great protection from corrosion but do get a bit yellow when hot. These are great for pumping up your engine with a lighter design and used for rough and ready terrain work. 304 Stainless Steel: This is the best option, and costliest, this alloy has the highest nickel chromium content of the three alloys and provides the best corrosion resistance as well as least discoloration from use. These are good for pimping as well as pumping up your engine. 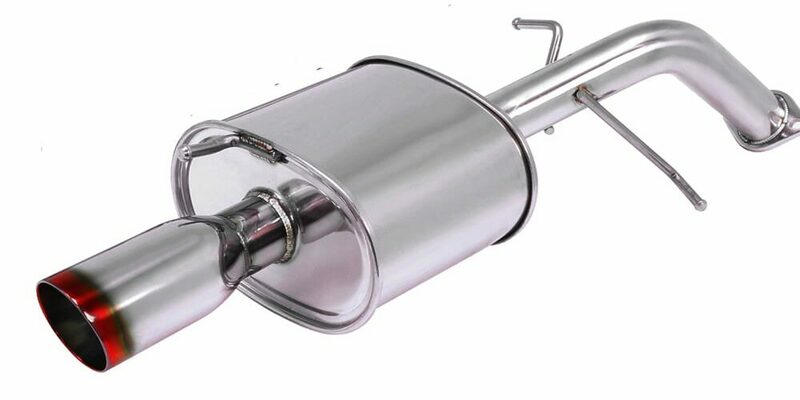 There are two options, with a muffler to reduce the sound levels, and you can really get some silent muffler options. Or without mufflers for that roaring rumble. Now, you have to consider the pipe design for the different rumbles you will get. Materials and design specifications affect the sound, and just like a trumpet or a flute, you can pump up the bass or leave in the treble. The style is something that is totally subjective. You either like a chrome plated look, or a brushed nickel look, or perhaps you like the Mad Max look of red primer mixed with carbon and rust. Essentially, style is something you invest in for no other reason than showing off your ride. You can invest in a set of double exhaust tips that can be added on to a single exhaust set, giving your kit, and if you add these to a double exhaust system, you get that overkill quad exhaust look.